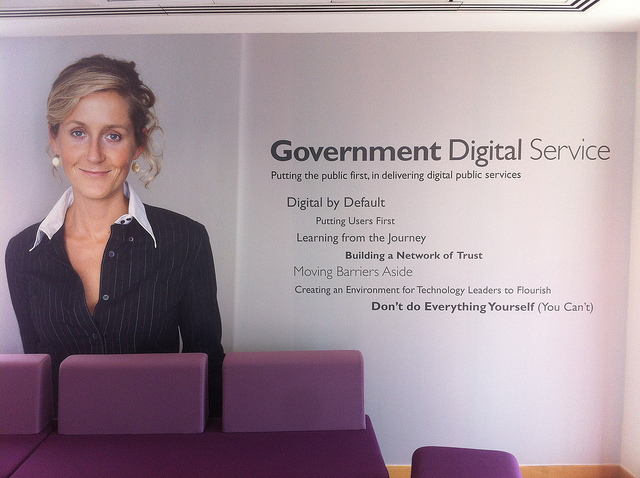 The first thing you see when you walk into GDS is the 7 main messages which guided the build of the GOV.UK alpha. Visitors to GDS often scribble them down, and like our Design Principles they help provide a shared language for people inside and outside government. They’re also really useful points to keep in mind as we build a community around the exemplar services and the new service manual. In November 2012 the Government Digital Strategy stated that from April 2014 all new and redesigned services processing over 100,000 transactions a year would have to meet the digital by default standard if they were to be launched and linked to from GOV.UK. It also stated that GDS would be responsible for defining that standard. 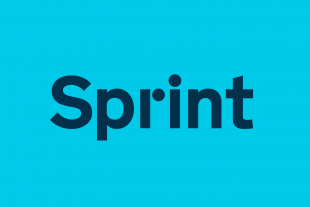 In promoting an agile approach, the standard and guidance are a radical departure from what's gone before. People who use the standard are service managers. Service managers develop and deliver all the changes necessary to provide effective digital services. Because the role of service manager is relatively new it's been a challenge to find them in government departments and to engage them in our development process. Other users of the standard are digital leaders, service teams (including designers and developers) and our own transformation team. By talking to these users we created profiles and user journeys to map out how each user might use the guidance. We then structured the guidance accordingly for our alpha release. We wanted to expose our users to the standard and the service design manual as often as possible. We started with a simple email group, sending out weekly updates about the development of the standard and requesting feedback on its content, structure, guidance and governance. We kept close ties with our transformation team to make sure we added new service managers to the group as they joined GDS. The feedback became a foundation for the beta version of the standard, released last month. When iterating the alpha version, we were determined to include as much user feedback as possible. 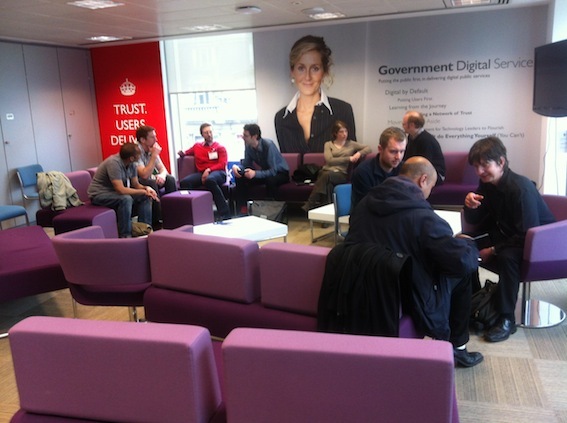 In January 2013 we held a workshop for colleagues across government to air their concerns and expectations. This session was invaluable and we collated feedback into a directory, identifying the most significant areas of concern. We told our users what actions we were going to take in time for the beta release; by doing this our users could see that we were focusing on the areas they cared about most. At the workshop service managers asked for more opportunities to meet up to share ideas and discuss similarities about service transformation across government. We proposed a service managers' 'show and tell'. The first event went ahead on 11 April and brought together service managers from the Ministry of Defence (MOD), the Ministry of Justice (MoJ), Her Majesty's Revenue & Customs (HMRC), the Department for Transport (DfT) and the Cabinet Office. The format proved to be a success, with service managers identifying and sharing problems and proposing solutions. The service manager show and tell will now be a regular event, but our approach to building the community is still very much driven by what our users are telling us. We will continue to work with service managers to identify needs and help make the connections that will ultimately lead to more information sharing and better services being built. I've been flashing the service manual around a few global traps. So thanks for that. We still have the entrenched problem that if a .gov doesn't offer citizens a place to store their pds (personal data store - slide 6 http://www.slideshare.net/DigEngHMG/wrkshp-31-assuring-identity-sprint13-16159609 ) and identify users who use a service, then they can never be offered the kind of personalized services which they are demanding. There's also no way citizens can trust a private service to store things like their private medical information. I just hope we can get a global perspective, and share the education, about each country's GDS approach to the same things. Seems as if most govspace designers don't appreciate that, on the web, there are two other words - World Wide. That said, we ought to recognize two distinct mindsets, who rarely talk or understand one another. i.e. speak the same language. http://www.computerhistory.org/revolution/networking/19/314 (even in this GDS space). Here's a little insight into the "Connecting computers" language. http://www.geant.net/service/eduGAIN/about_edugain/Pages/AbouteduGAIN.aspx All the best. Really enjoyed the Show and Tell event at GDS. It was good to see what other Departments were doing, make new contacts and share issues and solutions in the round.